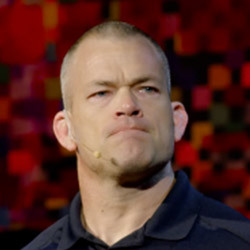 Jocko Willink is a decorated retired United States Navy SEAL, co-founder of Echelon Front, author and podcaster. A legend in the special operations world, Jocko has spent 20 years in the U.S. Navy SEAL Teams, rising through the ranks to become a SEAL officer. He was awarded the Silver Star and Bronze Star for his service in the Iraq War. In 2010, Jocko retired from the Navy and launched Echelon Front firm together with Leif Babin, a fellow former SEAL. It’s a consulting firm where he teaches the leadership principles he learned on the battlefield to help others lead and win. Willink is the author of the books Extreme Ownership: How U.S. Navy SEALs Lead and Win – written together with Leif Babin, and Discipline Equals Freedom: Field Manual. He also keeps a Jocko Willink book list on his website and we recommend some of them below. Willink also hosts the Jocko podcast together with his friend and Brazilian jiu-jitsu practitioner, Echo Charles.